Let me just start by saying, if you haven't felt Calypso cashmere - you're not truly living. Haha, okay maybe I shouldn't go that far, but seriously I never want to take it off!! I've only had this scarf for a little over a week and I promise you I've worn it at least 6-7 times already! I've always loved everything about Calypso stores, from their high end resort-wear to their fun patterns and textures, but in my opinion nothing compares to the cashmere. And after all, it's the perfect time of year for it! Whenever I'm thinking about which pieces to invest in each season, I always gravitate towards the classics. Outerwear and layering pieces are essential for Fall/Winter and these classic pieces are sure to up your closet game this season! Thank you to Calypso for sponsoring this post! What a gorgeous woman you are!?! Love your cardigan and your hair is flawless! This look is just lovely! The colors and fabrics are simple and terrific! Love this look! Great color pallet! 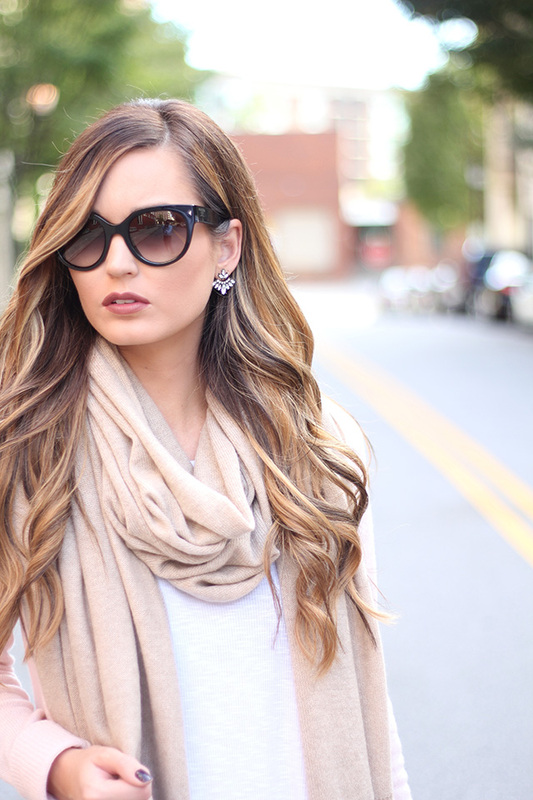 I have been looking for a simple cashmere scarf like this! Love this look! I love your little LV bag! It's so cute! Love the cashmere. So comfy and cozy! 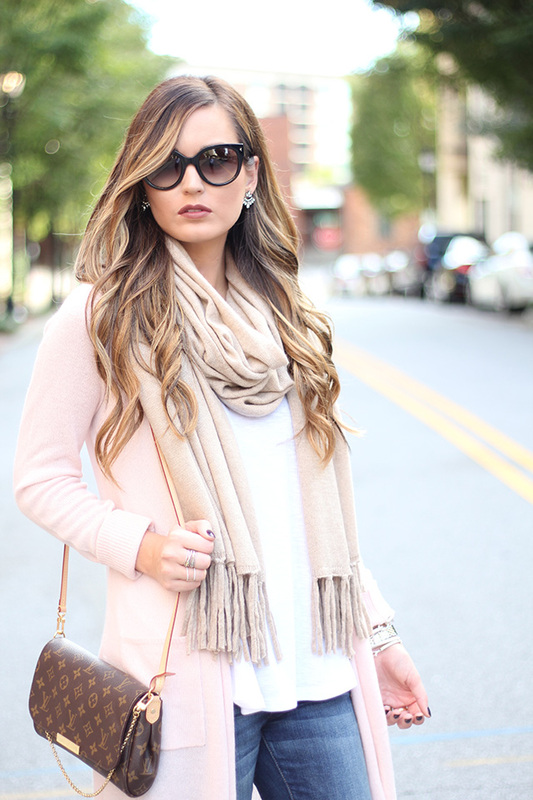 love the scarf with the cardigan! This is making me want to curl up with a blanket and drink hot chocolate! I love how fall chic this outfit is, while still being the perfect amount of cozy and comfortable. So cute! Pretty sweater! I really like the soft colour. Amazing blush tone look. Especially those booties! I'm obsessed. Cashmere goes with everything! What sunglasses are you wearing?